I’m a creature of habit. Every time I’m walking down Madison Avenue on my way to a business meeting, I’ll stop by Park Ave Liquors to take a quick look at what the new offerings are. 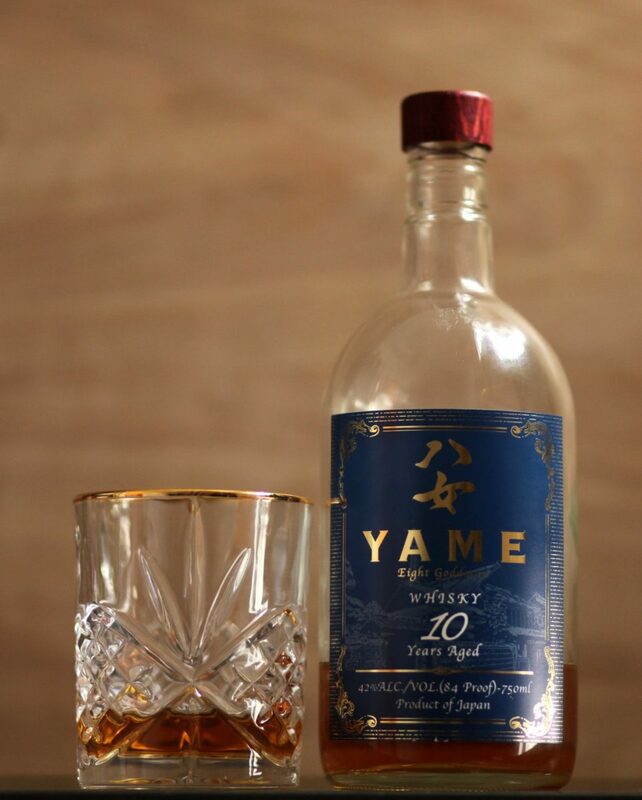 As it so happened, when I stopped by yesterday there was a tasting going on of a Japanese whisky I had never heard of called Yame. I’m pretty skeptical about purchasing full bottles of whisky I’ve never heard of, but after having a tiny tasting pour, I was pretty much sold. Or more accurately, the bottle in front of me became sold (to me). I paid $60 for this bottle, with full retail price being $65. In any case, the gentleman doing the tasting mentioned that this whisky is actually not for sale in Japan and is only available in the US, with about 800 cases released each year. The whisky is a blend of whiskies that have been aged in American Oak from 10 – 13 years, and it definitely shows on the palate and the aroma. It is the sole whisky in the Kitaya Distillery portfolio. 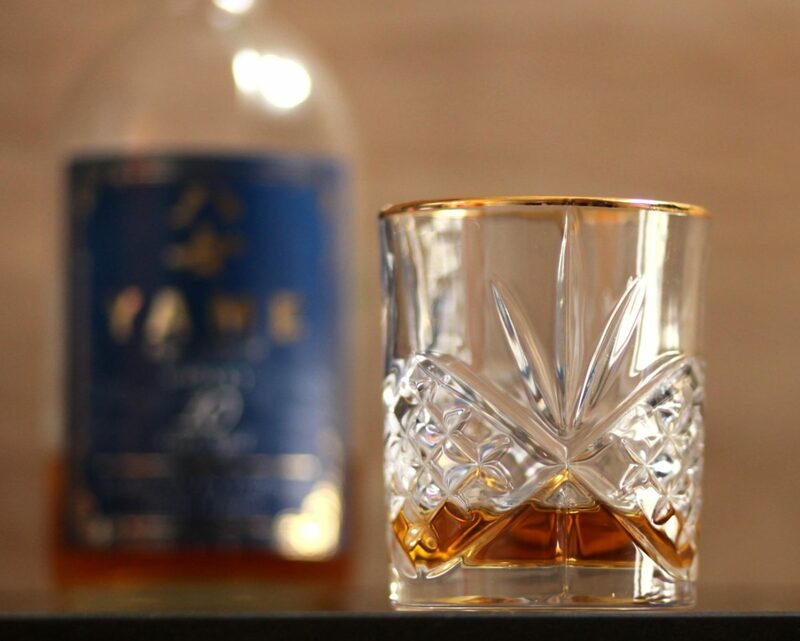 Yame – Eight Goddesses – is a Japanese Whisky blended from whiskies matured in oak for 10-13 years inspired by the mythical Yametsu Hime said to protect the scenic mountainous beauty of the Yame Region, home of the famed Kitaya distillery. The packaging that Yame 10 year comes in is underwhelming to say the least. I like the reflective logo / YAME in the middle of the label, but the font choice for the white lettering is a real detraction. It also doesn’t help that the label is plastic (along with the twist off cork), giving the bottle a cheap feel. What’s most notable though about this whisky is just how dark it is. It’s a deep gold color that borders on amber, clearly very influenced by the lengthy amount of time spent in oak. The nose is where things start to get interesting. The nose is awesome. Extremely bright and sweet, with very little ethanol. Aromas wafting off of the glass include heavy vanilla (that’s the oak), ripe fruits, honey, caramel, and a slight maltiness. Judging just by the nose, one might almost be led to wonder if they’re really about to taste a light bourbon. The whisky activates the salivary glands as soon as it hits my tongue, mainly because of its dominant sweetness. The sweetness is similar to rock candy, with accompanying citrus, a touch of caramel, and a strange herb note that I can’t quite place. Not extremely complex, but incredibly enjoyable. Fairly short, and the only aspect of this whisky that has even a twinge of disappointment in it. Just some lingering sweetness, spice and a touch of heat. Most of our reviews here on Fine Tobacco NYC start with a photo of a full bottle of whatever spirit we’re reviewing. In this case, the full story is that at my business meeting, I made the mistake of cracking this bottle open. Over the proceeding two hours, the gentleman involved and yours truly drank about 75% of the bottle. But, as you can guess, that’s because this whisky is really just wonderful. At $60, it is in decently competitive territory. But I’d take Yame 10 Year over many $60 bottles of whisky, and perhaps even over some more expensive whiskies. If you see this bottle, buy it. You won’t regret it.